I love planning parties on a budget. 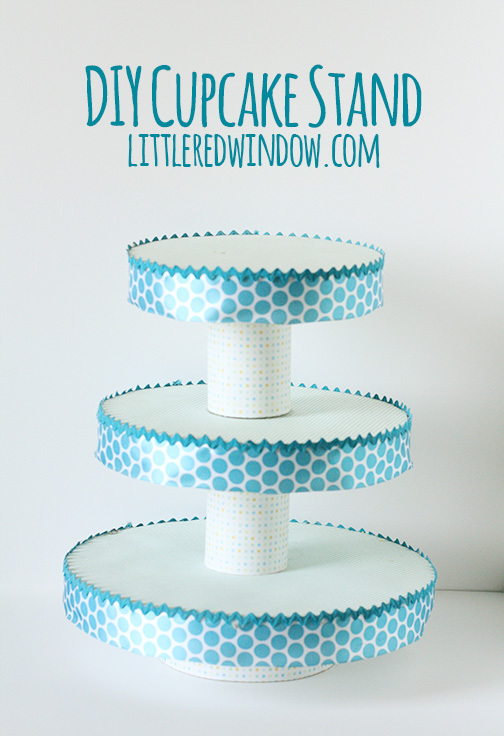 A big way to save money while planning a party is to do a lot of DIY, and this DIY Cupcake Stand by Little Red Window is a perfect example. Cassie shows us how to make a customized cupcake stand using items you already have on hand. She says her stand has held up for three years of parties, so you know that it is pretty sturdy. Be sure to stop over to Little Red Window to see how to make one of your own. Thank you so much Cassie for linking up your cupcake stand to Dare to Share! I wish you have the Name url option to add comments. Your cupcake stand is looking pretty. Nice work.